ARTBA’s annual Engineering Issues Breakfast at SASHTO in Houston. 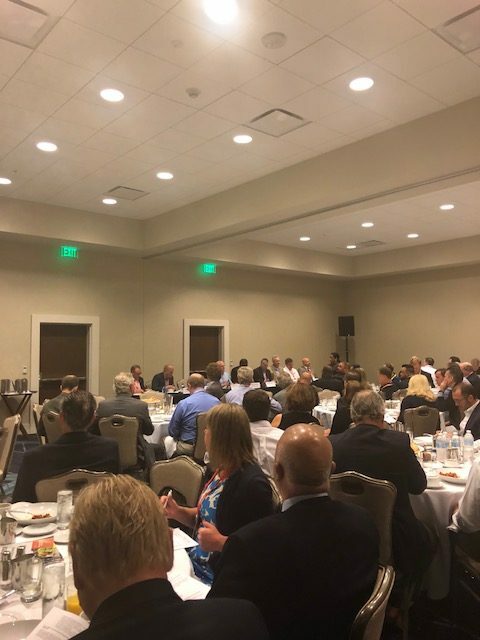 Nearly 90 people attended ARTBA’s annual Engineering Issues Breakfast at the Southern Association of State Highway Transportation Officials (SASHTO) meeting in Houston. ARTBA’s Planning and Design Division President Susan Martinovich, from Jacobs, moderated the Aug. 7, roundtable discussion with nine state DOT leaders from the region. Topics included workforce issues, safety, funding and alternative delivery. Many of the agencies also provided detailed handout information on their state transportation programs. For more details on upcoming ARTBA events at the AASHTO regional meetings, or to receive a copy of the handout, please contact me.